We started ON24 as a 24-hour multimedia news platform that focused on the retail investor, like a version of CNBC or Reuters. But, two major trends converged that resulted in our pivot to martech — the rise of digital marketing and the fast-growth Silicon Valley companies around us that all needed a way to efficiently market and sell an increasingly complicated product. A lightbulb went off and we realized that the same digital transformation that was reshaping the news industry would also forever impact traditional business communications. That’s when the idea for the business-led webcast was born, and we shifted our focus to helping companies create digital experiences where they could directly engage their customer. After transitioning to a webcast-as-a-service provider, we realized that three quarters of our customers were using our technology for marketing and demand generation. We’ve now matured from a full webcasting service into a self-service, engagement-driven webinar marketing platform where over 1600 businesses delivered 85,000 webinars last year with an average viewing time of over 50 minutes. And, that’s really our core mission and my inspiration, to help marketers achieve engagement at scale through the power of data driven marketing webinars. Just like the assembly line ushered in the industrial revolution, CRM and marketing automation technologies are what started the entire martech ecosystem, giving us a powerful foundation to efficiently market at scale. But, marketing isn’t just about increasing the quantity of customer interactions, it’s about deepening their quality. The technology we use must give us the ability to do more than just scale. I believe that today’s marketer needs a new layer in their martech stack focused on delivering engagement at scale, enabling marketers to reach hundreds and thousands of prospects on a personal level. And, when you do create an experience that captivates an audience for nearly an hour, the incredible amount of behavioral data you can gather makes future sales and marketing interactions all the more personalized. As this engagement marketing category evolves, the marketing automation layer will also need to change along with it so that these rich data points can be integrated into campaigns. The rise of the millennial buyer will be a game-changer for our industry. We’ve known for a while that approximately 60% of buyers self-educate before talking to sales. Think about that ten years from now when a majority of the workforce consists of millennials. There’s no doubt the number of self-educating buyers will increase, and we’re going to see decision makers who may never talk to sales. This means marketers, and marketing technology, will be responsible for engaging customers throughout their entire lifecycle. It’s a huge challenge, and why I believe we’ll see more and more technologies that help marketers meet customers wherever, however, whenever they desire and use that touchpoint to understand what customers might want next. Today, there really is no excuse not to know our customers. Marketers need to find a way to integrate the entire martech stack to provide a 360-degree view of their customers and build campaigns that are informed by every touchpoint across any channel. There’s a lot of conversation around consolidation in martech as a solution to the integration problem, but I don’t think that’s the answer. Instead, the major marketing platforms can differentiate by maximizing the value of the martech applications built on their platform and strengthen their respective integrations. That’s how we’ll be able to leverage cutting-edge, experimental technologies like virtual reality, interactive video, live messaging, etc. to engage customers and build a relationship with them. In the martech space, I’m really interested in technology companies focused on scaling customer advocacy. Influitive, for example, is a start-up who helped ON24 build a robust community of customer advocates that act as our brand ambassadors. There’s nothing more powerful than a customer success story to explain the value of our product. I’m also always watching other start-ups backed by Goldman Sachs’ private venture fund. When we partnered with them to raise our last round, we were really impressed by their financial diligence and global network to help us scale our business. Symphony is an interesting start-up that Goldman Sachs is incubating to provide a secure messaging platform for the banking sector. Their emergence demonstrates that businesses still need specialized, enterprise-grade technologies to get work done. I think that start-ups building enterprise applications that enable workplaces to communicate and collaborate as seamlessly as Facebook or Snapchat have a great opportunity for growth over the next few years. Our marketing stack is built on a strong CRM and marketing automation foundation; we’re currently using Salesforce and Marketo. As a CEO, I think it is so important to have a single view of the truth for every customer that I can see in real-time. That’s what keeps me informed on the health of our business and ensures we’re aligned internally around every customer touchpoint. But, the value of CRM and marketing automation tools are only as worthwhile as the data they contain. We leverage our ON24 marketing webinar platform to engage our customers and prospects at scale, generating high-quality leads informed by the data we’ve gained from that engagement. Then, we further put that data to work with technologies like Conductor, DemandBase and Optimizely to further personalize the customer experience. I think the most important take-away here is that no technology is a silver bullet to build a customer relationship. B2B companies need a technology stack that enables meaningful engagement with customers and prospects throughout the buying lifecycle. One of our greatest successes over the past few years was an integrated marketing campaign called, “Where’s Your ROI?” that challenged marketers to evaluate their marketing programs based on business impact and cost efficiency. 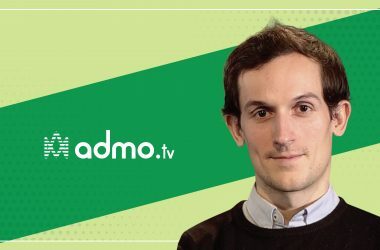 We wanted marketers to realize that you can’t treat every marketing program equally; the cost of customer acquisition is a critical consideration. By changing the conversation from speeds and feeds to ROI, we spoke to our customers as strategic advisors instead of transactional software vendors. We took that message to market through email, digital advertising, organic social media, PR and an on-site guerilla activation at Dreamforce. The marketing-qualified leads generated by the campaign resulted in a win rate of nearly 30%, exceeding our goal of 25%. The beauty of AI, and technology in general, is that it makes the science of our jobs so much easier and way more accurate — predicting pipeline, scheduling an email follow-up, anticipating the piece of content a customer may like best and so on. By taking away the burden of that manual work, we gain the time and energy to create great experiences for our customers. I’d much prefer my team use their talent to humanize campaigns and make them unique than manually calculating projected pipeline. I think the important thing for marketers is not to get caught up with the latest shiny toy. AI has huge potential, but any brand can adopt a new technology. Businesses that remain true to their values and build customer relationships will win. I’d have to choose two words – passionate and focused. It’s easy to get excited about the next big idea, but having the discipline to execute on it determines success. Salesforce is an invaluable tool for knowing where we stand in real-time and managing a responsible business. I think a CEO must stay grounded in the numbers and make data-driven business decisions to build a company that lasts. Set aside two to three weeks a quarter to go on the road to meet with customers face-to-face. Hearing their direct feedback saves a lot of guesswork and heartburn in the long run. And, investing in the relationship over time builds the trust you need for a sustainable partnership. Be able to pivot. With technology today, the only thing that is constant is change. Your business needs to stay flexible to adapt. Entrepreneurs need to check their ego at the door and do what’s best for the company — even if it strays from their original vision. I think the secret to ON24’s success is based on the people I’ve hired. I think I have a pretty good eye for people who will be successful, and that’s the most important asset to your company. Good people have a domino effect, they make everyone better – people in different departments, people who report to them, everyone. They’ve taken ON24 to a place I didn’t imagine was possible back when we started the company. Marc Benioff — he helped pioneer the SaaS business model, and changed how business software is bought, which in turn, has transformed the way we market, sell and support customers. Plus, I admire his commitment to philanthropy and giving back to the local San Francisco community. 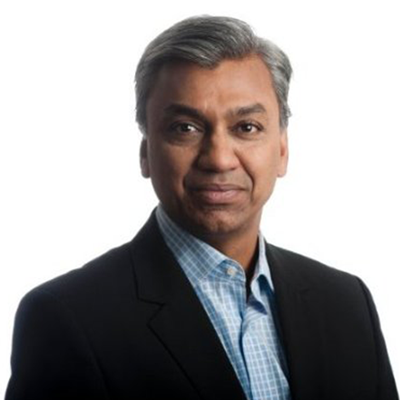 MTS: Thank you Sharat! That was fun and hope to see you back on MarTech Series soon. A highly successful and award-winning entrepreneur, the co-founder, President and CEO of ON24 Inc., the global leader in webinar-based marketing solutions and virtual environments. 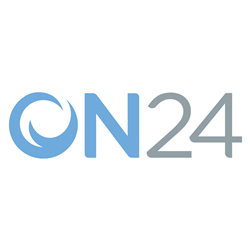 The ON24 Network is the world’s largest webinar network with over 8.5M business users annually and delivering over 40,000 live webinars per year (2014 run-rate). Has taken ON24 to a market leadership position, with 50 consecutive quarters of revenue growth and built the company over two of the worst downturns (dot com and housing bust), and has built a responsive organization that continually anticipates and adapts to the needs of the market. 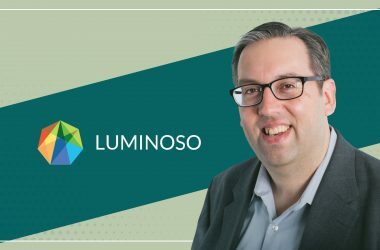 A recognized innovator known for achieving business goals, has gone from co-founding a start-up to running a global company supporting more than 1,000 customers, including IBM, CA Technologies, Merck, Unilever, JPMorgan Chase, Deloitte, Credit Suisse, Ernst & Young, Amazon and New York Life. 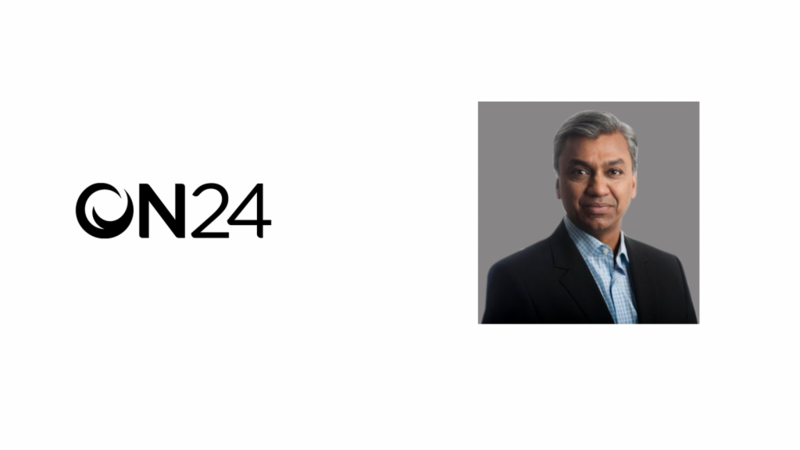 ON24 is one of the very few companies that survived the dot-com bust – Sharat successfully kept the company going; shut down the Financial Multimedia Network which was the focus at that time; and pivoted the company in a new direction.